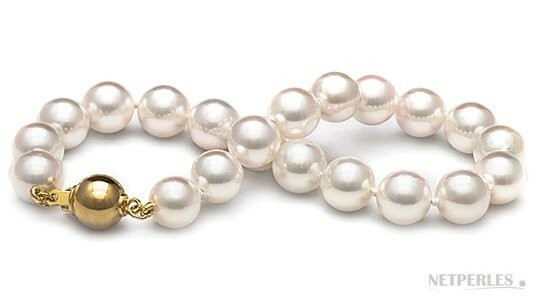 This 7-inches pearl bracelet is composed of perfectly round, 8.5-9 mm, white Akoya pearls. These pearls are available on both grades AA+ and AAA, make your choice with the Option menu. While the AA+ Akoya are very lustrous and virtually blemish free, the AAA Akoya exhibit a slightly higher luster and even cleaner surface. 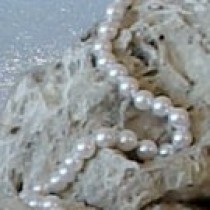 Akoya white pearls are available in three overtones: Silver, Rose or Ivory. 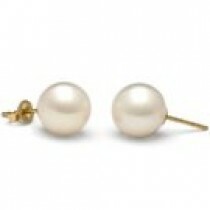 The pearls are individually knotted with double silk thread and the clasp is solid 14 karat gold that you can choose in White or Yellow gold. 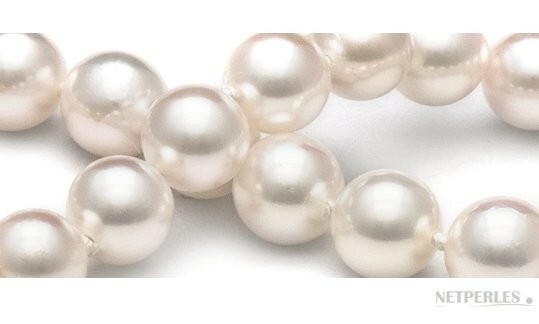 Think about purchasing at the same time a pair of earrings or a necklace, we'll be able to match pearl overtone perfectly on all the pearl set!